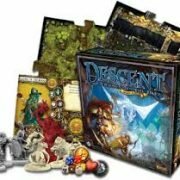 Descent: Journeys in the Dark (Second Edition) is a board game in which one player takes on the role of the treacherous overlord, and up to four other players take on the roles of courageous heroes. During each game, the heroes embark on quests and venture into dangerous caves, ancient ruins, dark dungeons, and cursed forests to battle monsters, earn riches, and attempt to stop the overlord from carrying out his vile plot. 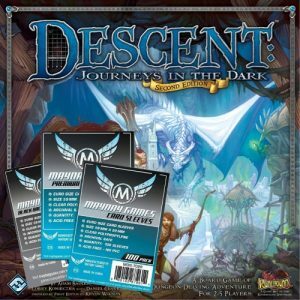 Kevin Wilson’s Descent: Journeys in the Dark has been among Fantasy Flight Games’s most popular titles for nearly ten years, redefining the dungeon-delving genre and setting the gold standard for engrossing gameplay and top-notch components. With the updated second edition, this tradition of excellence continues. Are you prepared to brave the dungeons and crypts beneath Terrinoth? Gather your party, and stand together against the forces of evil! Welcome, heroes of Terrinoth! You have wandered through dark forests and desolate wastelands, ascended icy peaks and passed through portals to other realms. You have battled terrifying ogres, fearsome wendigos, cunning demons, and menacing shadow dragons. You have wielded the Staff of Light or stood firm and indomitable against the power of the Shadow Rune. Worlds of adventure have opened before you, and your quests have become the foundation of legends. Soon, your heroic deeds can enter an entirely new era. 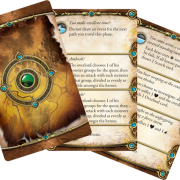 Fantasy Flight Games is proud to announce Road to Legend, a new companion app for Descent: Journeys in the Dark! 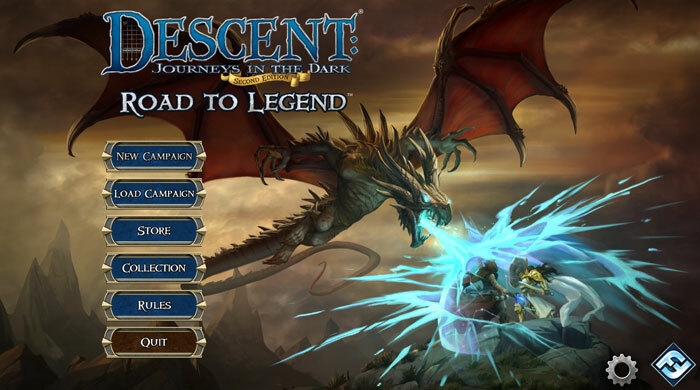 Road to Legend is a companion app for Descent that promises to revolutionize the way you play. 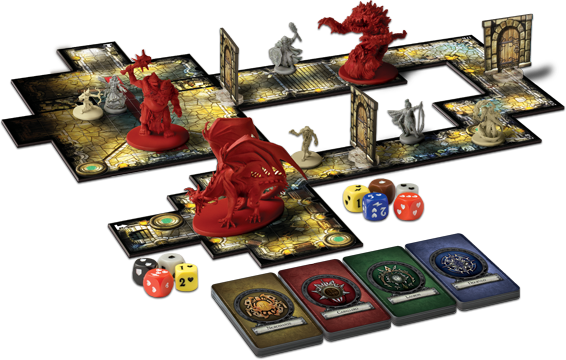 In a traditional game of Descent, up to four players become noble heroes of Terrinoth, wielding powerful weapons and gaining skills as they move through a campaign. Opposing these brave souls is a single overlord player who commands the monsters and forces of evil, using their dark powers to destroy the heroes. The Road to Legend app immediately gives you the chance to change these established roles by assuming the role of the overlord player, controlling the monsters and inviting you to explore the dungeon in entirely new ways. 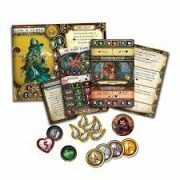 At its heart, Road to Legend introduces a fully-formed, cooperative way to play Descent by controlling all of the figures and responsibilities once handled by the overlord player—freeing you and your friends to all play as heroes and defeat the darkness in Terrinoth. 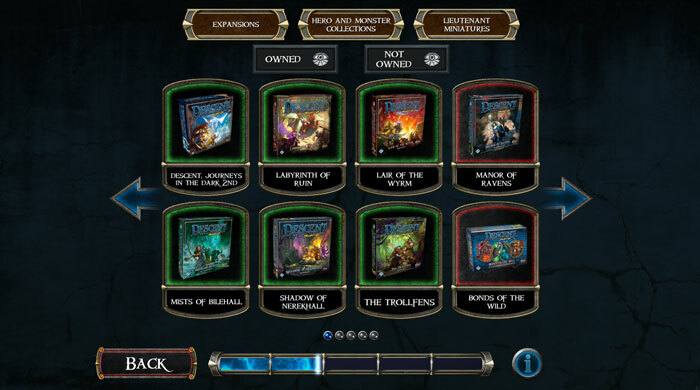 The Road to Legend app controls the placement of new tiles, tokens, and monsters. 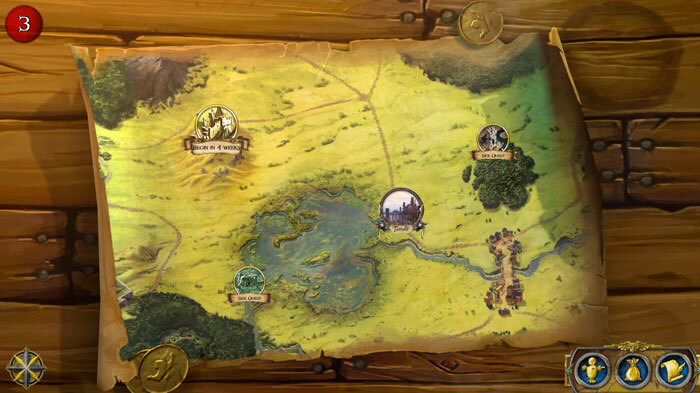 Because it’s taking over the role of the overlord player, the Road to Legend app will display the introduction to each quest and tell you which tile to place as the entrance, as well as any monsters, search tokens, and objective tokens that you’ll need at the beginning of the game. You’re not just fighting monsters as you move through a dungeon in Descent. You’re exploring dank corridors, peering behind moldering doorways, stepping past the broken skeletons of former heroes. 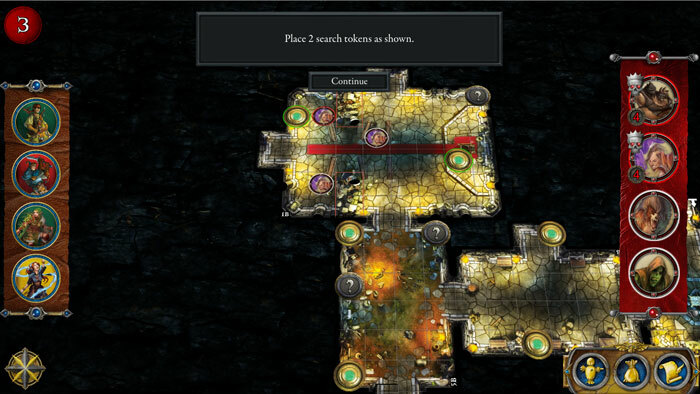 Road to Legend allows you to truly explore the dungeon by hiding its full extent at the beginning of the game. When you start a quest, the app only tells you the first chamber to place your heroes in, with doors closing off the entrances to other rooms. 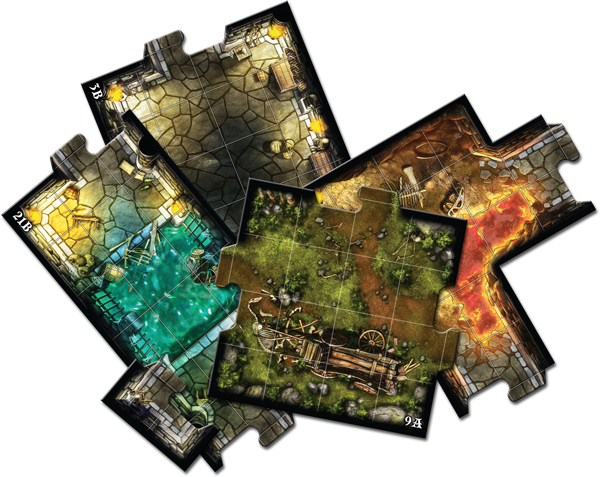 As soon as you open a door, the app tells you which new tiles to add to the map, as well as any search tokens, monsters, or objective tokens that your hero sees. Road to Legend commands each dungeon’s monsters, freeing all players to control heroes. Of course, the Road to Legend app accomplishes far more than simply telling you when to add tiles and tokens. It also commands the monsters arrayed against you, working with diabolical cunning to isolate the weak and bring down the heroes. 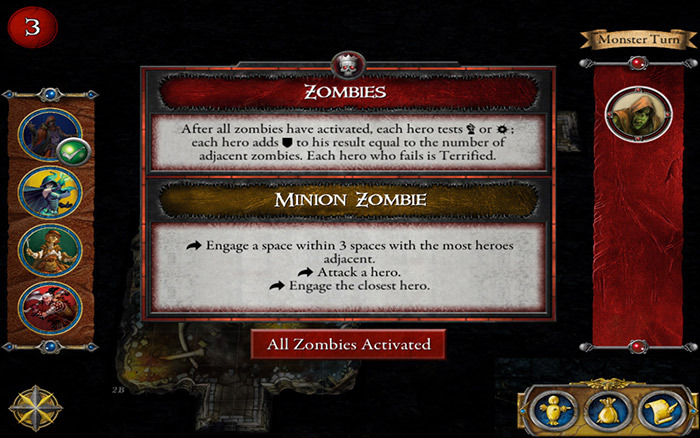 Every time the monsters activate, Road to Legend provides you with unique commands for the minion and master monsters of each group. Monsters may stay at range and attack with arrows or magic, or they may charge into the fray. You may find your weakest hero under attack, or your mightiest warrior unexpectedly taking the full brunt of the monsters arrayed against you. We’ll take a closer look at how Road to Legend handles monsters, as well as any differences between Road to Legend and traditional Descent gameplay, in a future preview. 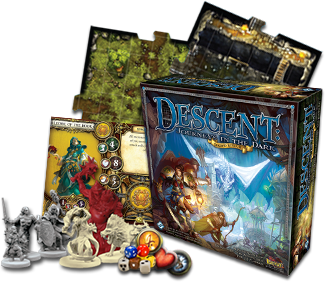 Road to Legend isn’t limited to guiding you through individual quests during a game of Descent—it offers the entire campaign experience. Upon download, Road to Legend offers a four-quest mini-campaign: Rise of All Goblins. This mini-campaign draws you and your fellow heroes into the adventure with two story quests and two side quests that you only need the Descent: Journeys in the Dark Core Set to enjoy. 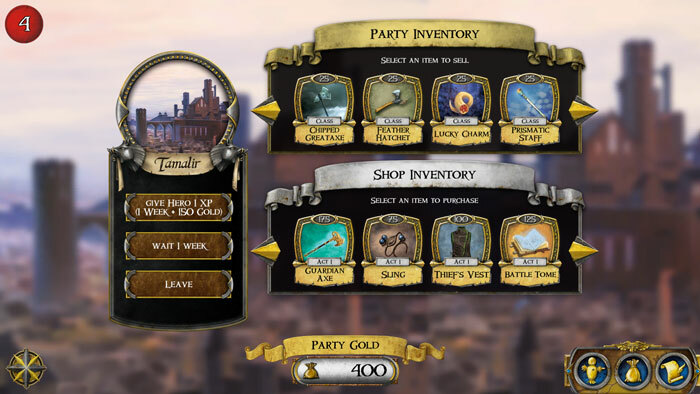 Between quests, you’ll be able to puchase new items and spend your experience points in the cities of Terrinoth. After a quest ends—either in glorious victory or ignominious defeat—you return to the world map of Terrinoth. 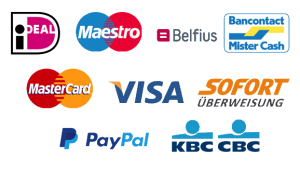 Here, you may head to the bustling city of Tamalir, where you have the option to buy items, including weapons, armor, and gear. You’ll also be able to spend your experience points to gain your hero’s Class cards. Best of all, Road to Legend automatically tracks which items your hero party owns and which skills each hero has purchased, making it easy to grab the cards you need every time you want to play! 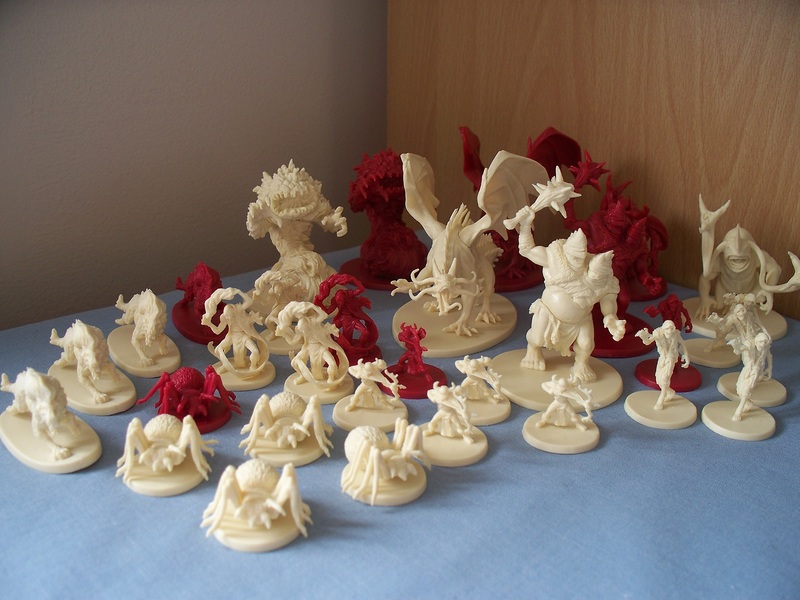 Of course, Road to Legend is not intended to replace traditional games of Descent. Instead, it will provide a new track, allowing players who prefer a more cooperative version of Descent to enter Terrinoth as heroes alongside their friends. Best of all, the more physical Descent expansions you own, the more Road to Legend can draw upon to supplement your quests. 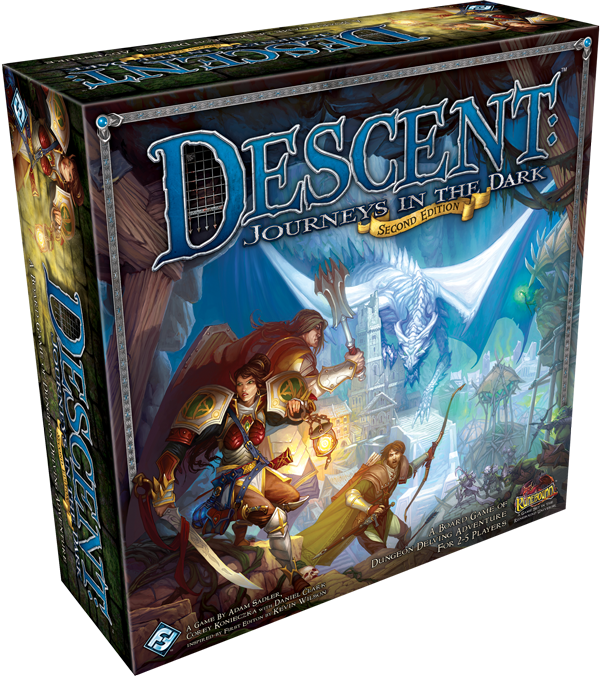 The more physical expansions you own for Descent, the more content Road to Legend can draw on! As we mentioned above, you only need a Descent Core Set to enjoy Road to Legend, but the more Descent expansions you own, the more Road to Legend can use in your campaigns. When you first download Road to Legend, you’ll select the expansions that you own, allowing you to choose any of your heroes or classes to use in a Road to Legendcampaign. What’s more, the app automatically draws monsters from the expansions you own to appear in any quest, ensuring that the quests offer fresh surprises, no matter how many times you play. You’ll even find item cards from all of your expansions offered up for sale when you buy new items in Tamalir. In the simplest terms, the more Descent expansions you own, the more content you’ll be able to get out of Road to Legend! 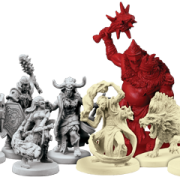 If you’re interested in adding even more to Road to Legend, you need look no further than the Kindred Fire campaign, the first downloadable content for Road to Legend. Kindred Fire is the first full-length campaign designed for Road to Legend, challenging you to stop the relentless depredations of Merrick Farrow as he ravages Terrinoth with incendiary sorcery. The Kindred Fire campaign will be released after the initial launch of Road to Legend, giving you and your fellow heroes a reason to adventure in Terrinoth again and again. Your journeys in the realm of Terrinoth have spanned countless leagues. You’ve tested your might against the most deadly monsters and descended into the darkest dungeons. Now, you have the opportunity to take your adventures in a bold new direction.